Haven't received anything? please contact support@luckycowbingo.com for assistance. Start your Lucky Cow Bingo adventure today and enjoy 450+ Hot Slots and exciting Bingo Games. 65X wager requirements, £250 max bonus conversion, read more for full terms. What's better than weekly real cashback? DOUBLE daily real cashback for all new players! Must be claimed manually on-site, read more for full T&Cs. Enjoy DAILY cashback and exciting rewards and bonuses as your work your way up the Lucky Cow Bingo VIP Scheme! Read more for full T&C's. If you're looking for big wins then make sure to take part in our incredible Jackpot Games, where you can win a share of £10,000 every month! Join our FREE Bingo games every day and win REAL cash! Play during our Happy Hours between 3-7PM every Wednesday at Lucky Cow Bingo for a chance to win 500 FREE Spins! 65X wager requirements, £250 max bonus conversion, read more for full terms. Win a spin of the Turbo Wheel on every qualifying fund for your chance to win 50-500 Free Spins! 65X wager requirements, £250 max bonus conversion, read more for full terms. 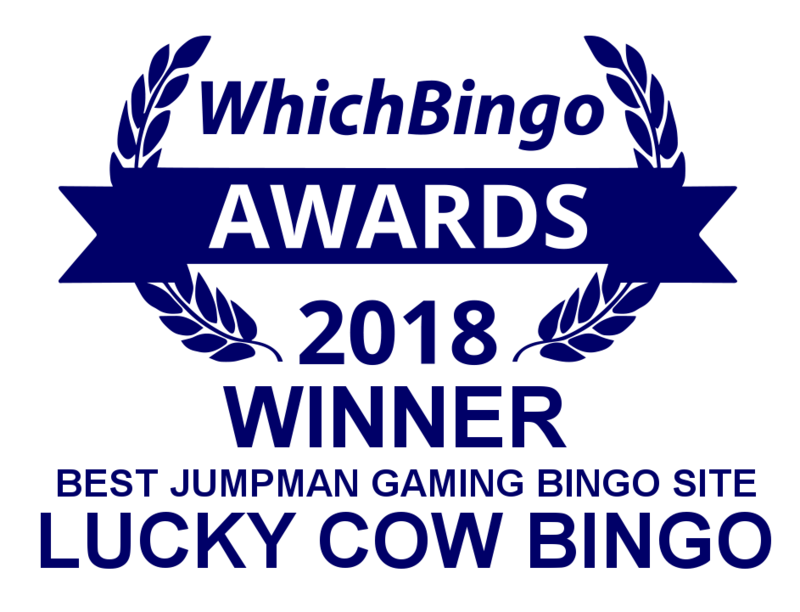 Lucky Cow Bingo is operated by Jumpman Gaming Limited which is licensed by the UK Gambling Commission ('UKGC') for customers in Great Britain and the Alderney Gambling Control Commission ('AGCC') for customers outside of Great Britain. All games on Lucky Cow Bingo are regulated by the UKGC or both the UKGC and AGCC. Registered business address (no correspondence): Inchalla, Le Val, GY9 3UL, Alderney.